Makita Power Tools has returned as a sponsor of one of snocross racing’s top teams, joining NSK and BRP’s Ski-Doo brand as official sponsors. Makita Tools NSK Ski-Doo Factory Racing will compete in the 2015-16 AMSOIL Championship Snocross Series, the featured national series within International Series of Champions (ISOC) snocross racing. Makita has also expanded its snocross presence, becoming the Official Power Tool Sponsor ISOC and a Presenting Race Sponsor of the Snocross National in Fargo. The team has been a competitive force in professional snocross snowmobile racing since it was formed in 1999, and has captured five season championships in AMSOIL Championship Snocross. Makita Tools NSK® Ski-Doo Factory Racing is entering the 2015-16 season with proven racing talent. Two-time Swedish Pro-Lite Champion John Stenberg #259 returns to the Pro Open class after several top-10 finishes in 2014-15. Fellow countryman Elias Ishoel #200 is the defending 2014-15 runner-up in the Pro-Lite class, and will be seen as a frontrunner in the new season. 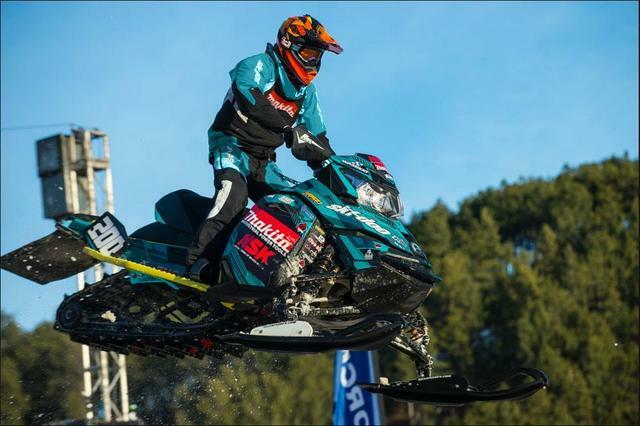 Makita’s new status as Official Tool of ISOC means an increased snocross presence. Makita tools will be in the hands of ISOC staff as they build and maintain race venues. In addition, Makita will also be integrated into all races in the 2015-16 season with on-site activation that will include demonstrations and displays, allowing snocross race fans to see the very latest in Makita innovation. Snocross is similar to motocross in the style of racing on closed circuits of varying shapes and sizes containing high-flying jumps, bumps and corners in both directions. The racing is close quarters with the riders rarely seated because of the rough conditions and speeds up to 65 mph. The 2015-16 season runs through March and includes national broadcast coverage on the CBS Sports Network. For more Makita coverage, click this link. DO IT!